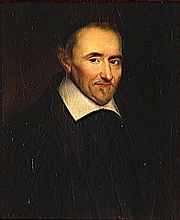 Gassendi, one of the most eminent men, and, what is more to the purpose, the most meritorious philosophic writer, of France in the seventeenth century, claims the unique honour of being the first directly to revive in modern times the teaching of Plutarch and Porphyry. Other minds, indeed of a high order, like More and Montaigne, had, as already shown, implicitly condemned the inveterate barbarism. But Gassendi is the writer who fit, since the extinction of Platonic philosophy, expressly and unequivocally attempted to enlighten the world upon this fundamental truth. He was born of poor parents, near Digne, in Provence. In his earliest years he gave promise of his extraordinary genius. At nineteen he was professor of philosophy at Aix. His celebrated "Essays against the Aristotelians" (Exercitationes Paradoxicœ Adversus Aristoteleos) was his first appearance in the philosophic world. Written some years earlier, it was first published in part, in the year 1624. It divides with the Novum Organon of Francis Bacon, with which it was almost contemporary, the honour of being the earliest effectual assault upon the old scholastic jargon which, abusing the name and authority of Aristotle, during some thee or four centuries of mediæval darkness had kept possession of the schools and universities of Europe. It at once raised up for Gassendi a host of enemies, the supporters of the old orthodoxy, and, as has always been the case in the exposure of falsehood, he was assailed with a torrent of virulent invective. Five of the Books of the Exercitationes, by the advice of his friends, who dreaded the consequences of his courage, had been suppressed. In the Fourth Book, besides the heresy of Kopernik (which Bacon had not the courage or the penetration to adopt), as already taught by Bruno; while the Seventh, according to the table of contents, contained a formal recommendation of the Epicurean theory of morals, in which Pleasure and Virtue are synonymous terms. "He had only with difficulty resolved to quit his southern home, and being attacked by a lung complaint, he returned to Digne, where he remained until 1653. Within this period falls the greater part of his literary activity and zeal in behalf of the philosophy of Epikurus, and simultaneously the positive extension of his own doctrines. In the same period Gassendi produced, besides several astronomical works, a series of valuable biographies, of which those of Kopernik and Tycho Brahe are especially noteworthy. He is, of all the most prominent representatives of Materialism, the only one gifted with a historic sense, and that he has in an eminent degree. Even in his Syntagma Philosophicum he treats every subject, at first historically from all points of view. . . . Gassendi did not fall a victim to Theology, because he was destined to fall a victim to Medicine. Being treated for a fever in t he fashion of the time, he had been reduced to an extreme disability. He long, but vainly, sought restoration in his southern home. On returning to Paris he was again attacked by fever, and thirteen fresh blood-lettings ended his life. He died October 24th, 1655." "I was contending," he writes to his medical friend, "that from the conformation of our teeth we do not appear to be adapted by Nature to the use of a flesh diet, since all animals (I spoke of terrestrials) which Nature has formed to feed on flesh have their teeth long, conical, sharp, uneven, and with intervals between them - of which kind are lions, tigers, wolves, dogs, cats and others. But those who are made to subsist only on herbs and fruits have their teeth short, broad, blunt, close to one another, and distributed in even rows. Of this sort are horses, cows, deer, sheep, goats, and some others. And further - that men have received from Nature teeth which are unlike those of the first class, and resemble those of the second. It is therefore probable, since men are land animals, that Nature intended them to follow, in the selection of their food, not the carnivorous tribes, but those races of animals which are contented with the simple productions of the earth.. . . . Wherefore, I here repeat that from the primæval institution of our nature, the teeth were destined to be the mastication, not of flesh, but of fruits. "As for flesh, true indeed, it is that man is sustained on flesh. But how many things let me ask, does man do every day which are contrary to, or beside, his nature? So great and so general is the perversion of his mode of life, which has, as it were eaten into his flesh by a sort of deadly contagion (contagione veluti quâdam jam insuta est), that he appears to have put on another disposition. Hence, the whole care and concern of philosophy and moral instruction ought to consist in leading men back to the paths of Nature." "For, in fact, we all, with tacit consent, conspire to extol our own nature, and we do this commonly with so much arrogance that, if people were to divest themselves of this traditional and inveterate prejudice, and seriously reflect upon it, their faces must be immediately suffused with burning shame." "Man lives very well upon flesh, you say, but, if he thinks this food to be natural to him, why does he not use it as it is, as furnished to him by Nature? But, in fact, he shrinks in horror from seizing and rending living or even raw flesh with his teeth, and lights a fire to change its natural and proper condition. Well, but if it were the intention of Nature that man should eat cooked flesh, she would surely have provided him with ready-made cooks; or, rather, she would have herself cooked it as she is wont to do fruits, which are best and sweetest without the intervention of fire. Nature, surely, does not fail in providing necessary than to make food pleasurable? And, as she does in the case of sexual love by which she procures the preservation of the species, so would she procure the preservation of the genus. "Nor, let anyone say that Nature in this is corrected, since, to pass over other things, that is tantamount to convicting her of a blunder. Consider how much more benevolent she would be proved to be, in that case, towards the savage beasts than towards us. Again, since our teeth are not sufficient for eating flesh, even when prepared by fire, the invention of knives seems to me a very strong proof. Because we have no teeth given us for rending flesh, and we are therefore forced to have recourse to those non-natural organs, in order to accomplish our purpose. As if, forsooth, Nature would have left us destitute in so essential things! I divine at once your ready reply: 'think that Nature has given man to reason to supply defects of this kind.' But this, I affirm, is always to accuse Nature, in order to defend our unnatural luxury. So it is about dress - so it is about other things. "What is clearer [he sums up] than that man is not furnished for hunting, much less for eating, other animals? In one word, we seem to be admirably admonished by Cicero that man was destined for other things than for seizing and cutting the throats of other animals. If you answer that 'that may be said to be an industry ordered by Nature, by which such weapons are invented,' then, behold! it is by the very same artificial instrument that men make weapons for mutual slaughter. Do they this at the instigation of Nature? Can a use so noxious be called natural? Faculty is given by Nature, but it is our own fault that we make a perverse use of it." See Riémes de la Philosophie de Newton. The whole passage breathes the true spirit of humanity and philosophy and deserves to be quoted in full in this place: "(long quotation in French given)" - Elémens v. An expression of feeling in sufficiently striking contrast to the ordinary ideas. Compare Essay on the Human Understanding, ii., 2. History of materialism. - We may here observe that Descartes seems to have adopted his extraordinary theory as to the non-human races as a sort of dernier resort. In a letter to one of his friends (Louis Racine) he declares himself driven to his theory by the rigour of the dilemma, that (seeing the innocence of the victims of man's selfishness) it is necessary either to that they should be insensible to suffering, or that God, who made them, should be unjust. Upon which Gleizes makes the following reflection : "This reasoning is conclusive. One must either be a Cartesian, or allow that man is very vile. Nothing is more rigorous than this consequence." - (Thalysie Ou La Nouvelle Existence). La Fontaine has well illustrated the absurdity of the animated theory in Fables x. 1. See "Elémens de la Philosophie de Newton." See Gassendi's Letter Vivo Clarissimo et Philosopho ac Medico Expertissimo Joani Baptiste Helmontio Amico Suo Singulari. Dated Amsterdam, 1629. Physics. Book II. De Virtutibus. See Philosophie Epicuri Syntagma. De Sobriete contra Gulam ("View of the Philosophy of Epikurus : On Sobriety as opposed to Gluttony.") Part III. Florentiæ, 1727. Folio. Vol. III.